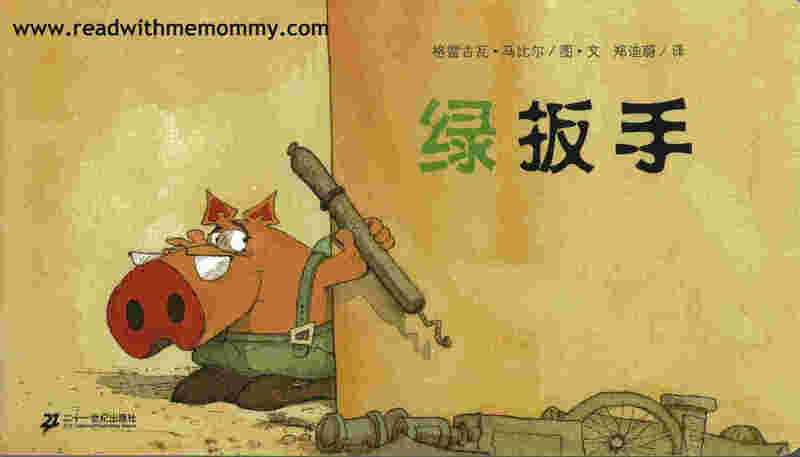 Green Spanner (La Cle Verte) 绿扳手 is a children storybook originally written in French, by Gregoire Mabire in 2002. This is the chinese translated version. There are one sentence per page, and comes with huge font. 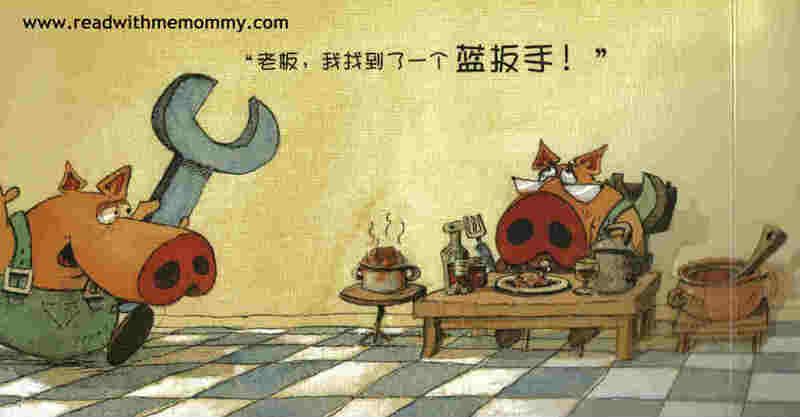 Simplified chinese. 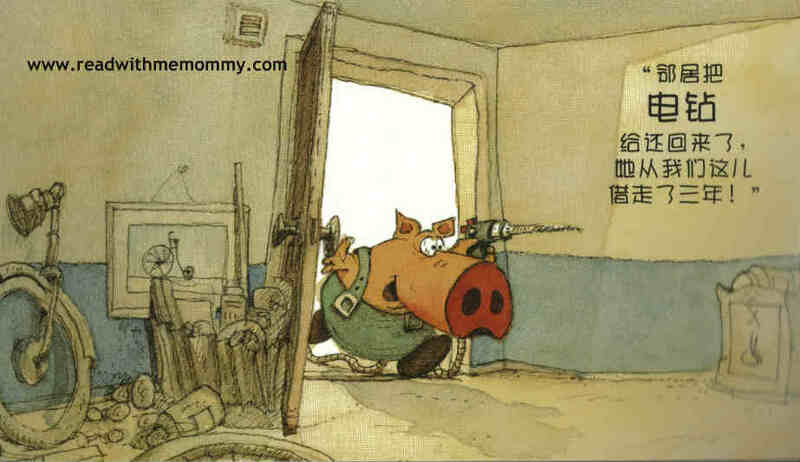 A piggy boss is looking for a green spanner to repair his motor bike, and so he engages the help of his piggy staff. They search high and low but could only find a drill, a hammer, a saw. The green spanner was nowhere in sight. Guess what? The green spanner has always been stuffed in the boss' back pocket, right from the first page of the book. This is a very cute storybook, with simple storyline that is suitable for children of very young age, up to the age of 4. Let your child look at the picture and point out where the green spanner is.